ARO Construction are able to undertake full responsibility for all aspects of house building, extensions, loft conversions, garage conversions and renovations. We offer our customers a truly professional service that is drawn upon our 20 years of experience within the building and construction industry, and with this allows us to for fill all your needs. As local builders in Solihull and Birmingham, we deal with the local building authorities on a regular basis and know just what they will expect from us, this enables all the planning process to run smoothly. The start of the process begins with having the plans drawn up for you building work, ARO Construction has worked for closely for years with a well respected architect who can draw up all the plans for your building work. Along with the architect we will meet with you to go through all your ideas for the project, listening to what you and then advising on the best available design options for you to choose from. Also its important to take things into account like your available budget and personal taste in your property requirements. 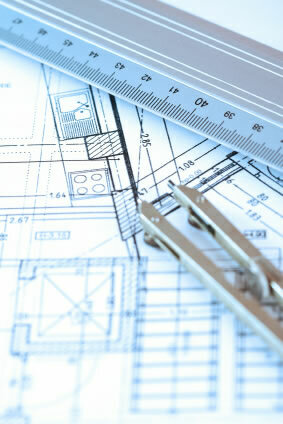 ARO Construction will work with the architect to have your plans for the required building work drawn up. Then with you we will look at the architect’s drawings to ensure you are happy for us to proceed with submitting to the local council for their planning approval. With some building projects a structural engineer is required to advise on technical and practical aspects of the build. ARO Construction will stay in contact with the local council planning officer for any queries and to possibly incorporate any requirements the planning officer will have in order to get the plans passed. We will also liaise with building authorities to arrange any meetings or on-site visits from the building inspector to make sure we are fully in-compliance with all the building regulations. Once we have obtained planning permission we will start on the building plan arranging all necessary building materials and equipment for the project. ARO Construction will manage every aspect of the build from ground-works, drainage, brickwork, roofing, plastering, electrical work, plumbing and carpentry and joinery. We can also organise the installations or modifications of all the utilities such as gas, water and electricity, and we will also take care of all the certification of work which is required by building regulations. Upon completion of the building phase we can then take care of finishing touches like decorating and landscaping to achieve that look you are wanting.